Back, and with another project. Hey everyone who reads this, I’ve been away from my computer for awhile with a cold, and was therefore unable to post. Anyway, I thought I would post about another project I did awhile back. Its a giant T made of 13 LED’s. 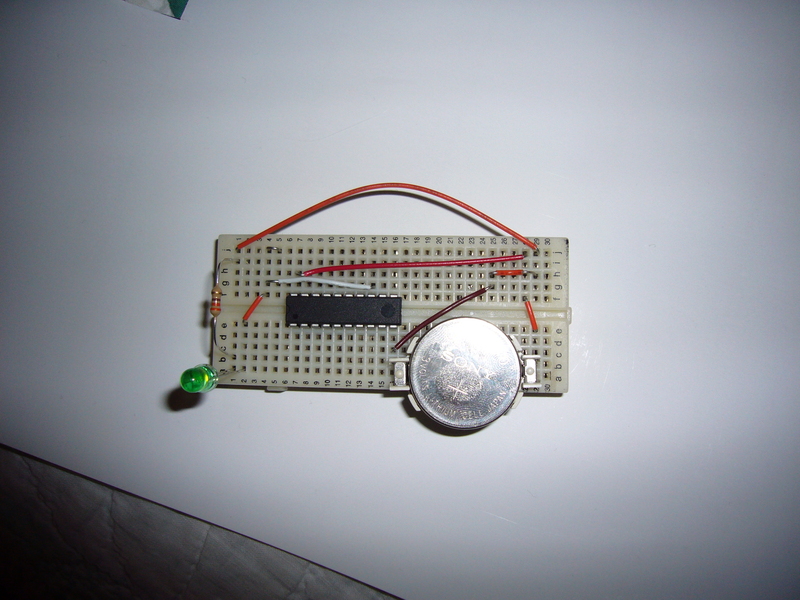 It was my first physical computing project, that wasn’t just a kit made by someone else. 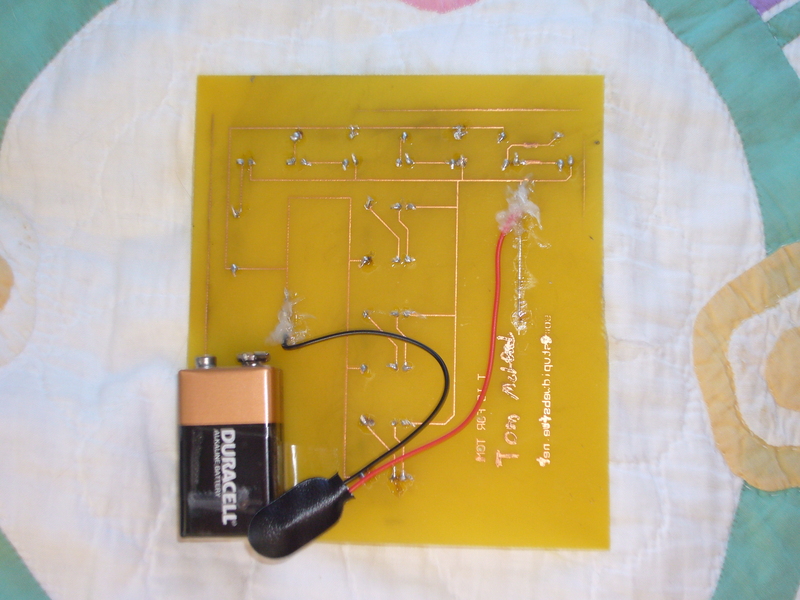 I also made the circuit board myself, it took a long time due to the small traces. Anyway it was a fun first project, and I recommend anyone trying to get into the world of electronics like this should try it out. 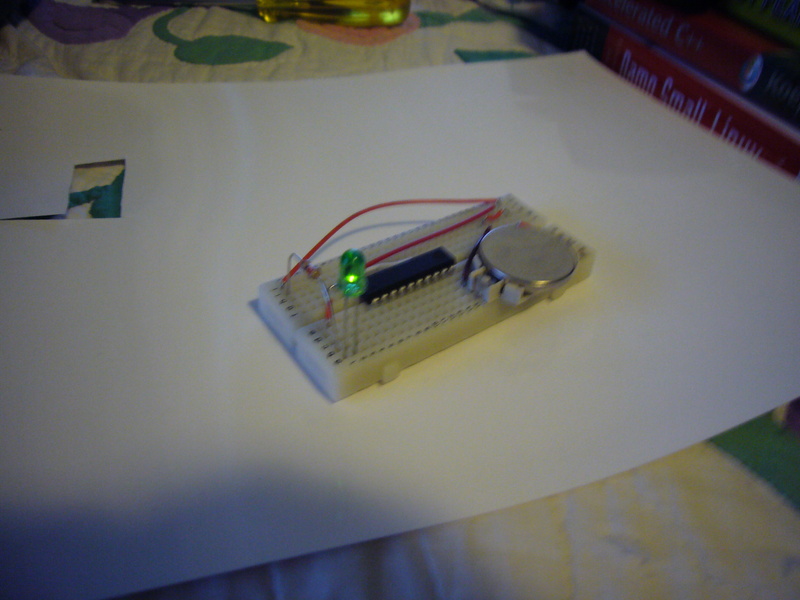 I just finished programming and uploading my first ever project using a micro-controller(the attiny2313 to be exact). Unfortunately it took me about 2 days due to issues with my programmer and my programming cradle, but all that’s behind me now, on to making my first robot(I’ll post more about that soon). Anyway, if you care about it here is some pic’s(and a video), maybe I’m doing a little too much, but I’m really happy that this is all behind me now. Hello world, and everyone reading this. I’m 15 years old, a sophomore in high school, outside of school I’ve got many hobbies including programming(mostly DS, some computer), physical-computing, and last but not least the occasional video game. 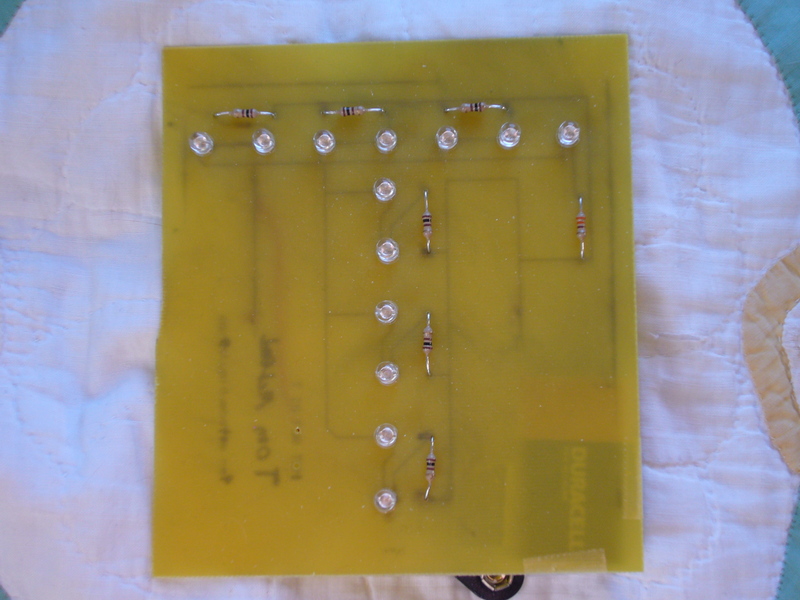 I’m starting this blog to document the various going’s-on in my life, and to document all of my projects, whether in programming, or physical computing(micro-controllers, LED’s, resistors, etc). I also might post a few reviews of games I’m playing, or little guides about various things. I don’t think I’ll post too often about my daily life though, as it’s quite boring. Oh and please comment if you read this blog, its nice to know that someone reads it.